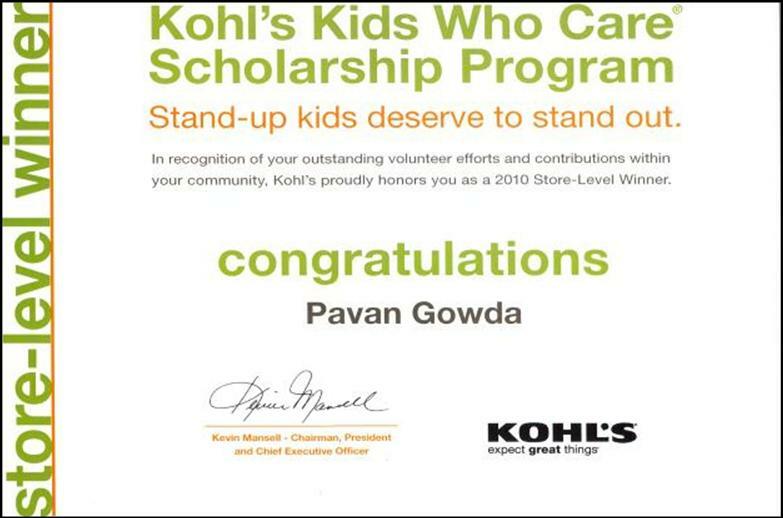 About the Founder - Green Kids Now, Inc.
Pavan Raj Gowda has always been a passionate environmentalist which was noticeable since he was 4 years old. 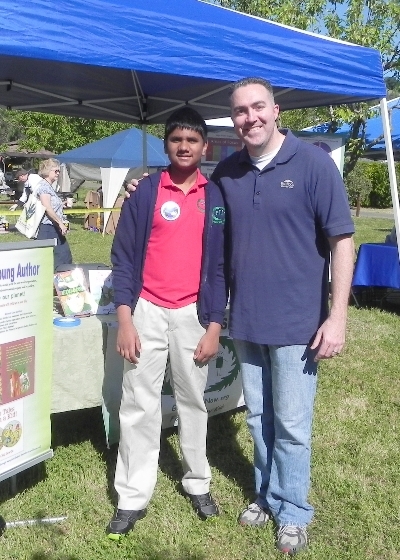 He founded Green Kids Now, when he was just 8 years old. When he was in second grade, he wrote a story called The Two Lakes in order to show the consequences of our actions and how the entire community should join together and care for the environment. 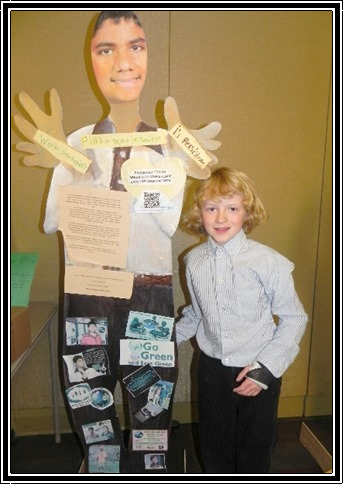 At the age of 10, he organized the first Green Kids Conference, which was sponsored by Microsoft Corporation. This conference is dedicated to children to help them learn about the environmental issues, and the resources available to them for taking action. It is also a way to inspire, motivate, and encourage kids to become leaders and innovators. 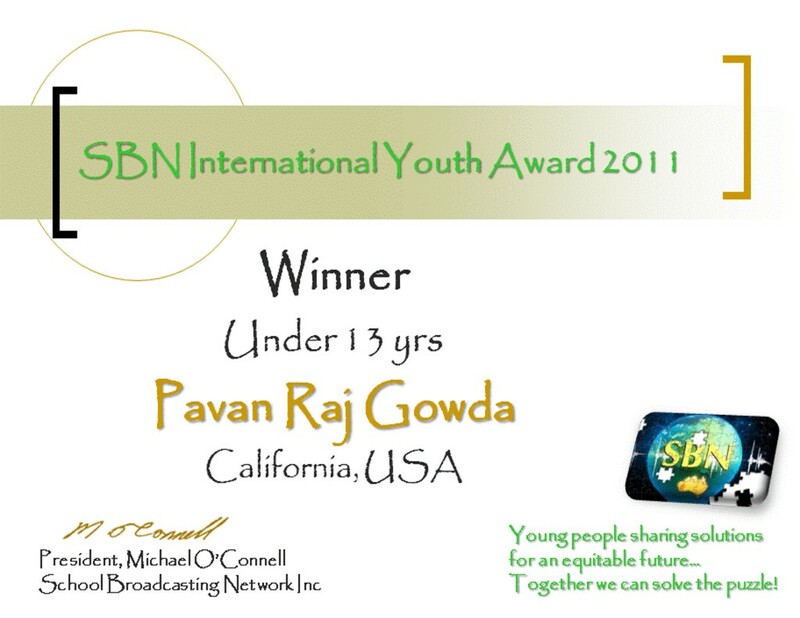 Pavan also formulated a very thorough program for schools, called the Green Star School Awards Program. The uniqueness of this program is that it prepares students to go in the path of innovation using Environmental Science, Biomimicry, Green Chemistry, Project Management, and STEM(Science Technology Engineering Mathematics), while also incorporating leadership, team work, and collaboration. When he was 12 years old, he published his second book, Geckoboy-The Battle of Fracking, which is the first children science fiction based on Biomimicry, in which he has also included science facts at the end, to help provide more details to the readers. 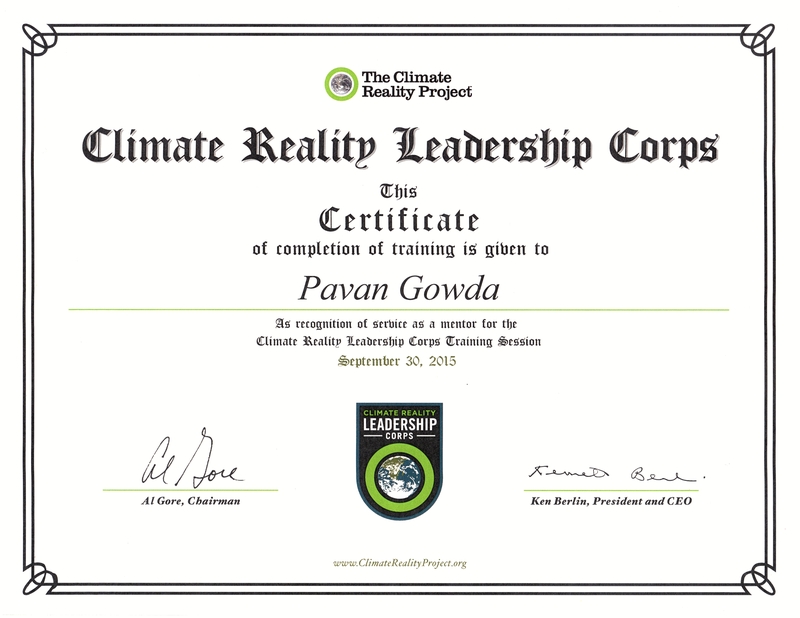 He also write blogs for many other environmental organizations, as well as publish blogs on his organization’s blog sites. As a global reporter, he has created environmental focused radio segments, which gets broadcasted in Australia. 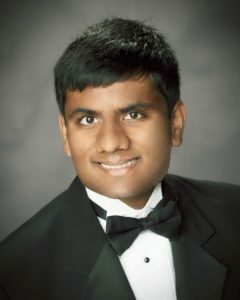 As a youth speaker, he has participated in various science events, conferences, school assemblies, classrooms, and delivered information about Biomimicry, Green Chemistry, and importance of Environmental Science, Plastics, Zero Waste, Climate Reality, and many other sustainability topics. Pavan has proposed the 3 New R’s for our path forward, which are Rethink, Redesign, and Restore with environmental sustainability in the core of everything we do. He believes that these 3 new R’s will provide us with new vision and approaches to solve the challenges around us. 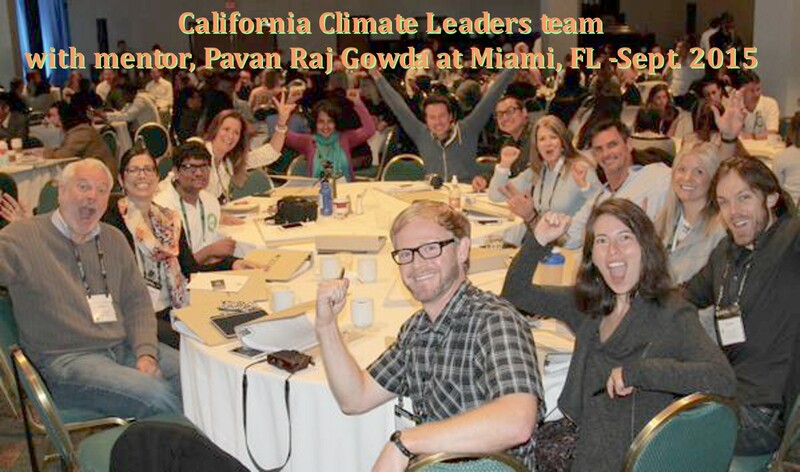 As a Climate Leader he is very focused on being part of the solution by building responsible innovators, and showing his generation that Innovation and Environmental Sustainability should not be considered separately. The solutions to our environmental issues have to be addressed at the source, and he strongly believes that science and technology solutions will be the only way to resolve these issues at the source. He is a leader who likes to live by example, and works in collaboration to make a bigger impact. 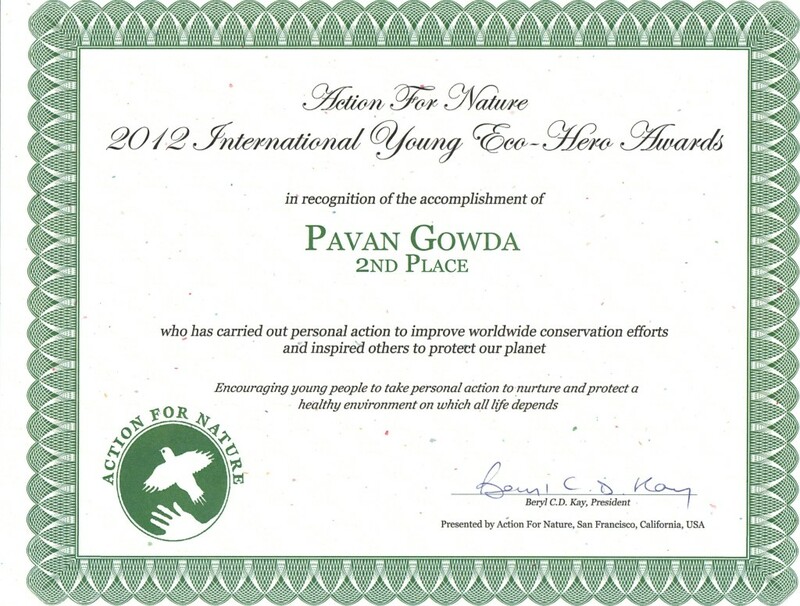 This video gives a view on the beginning stages of Green Kids Now, and Pavan’s passion for the environment in those early years. 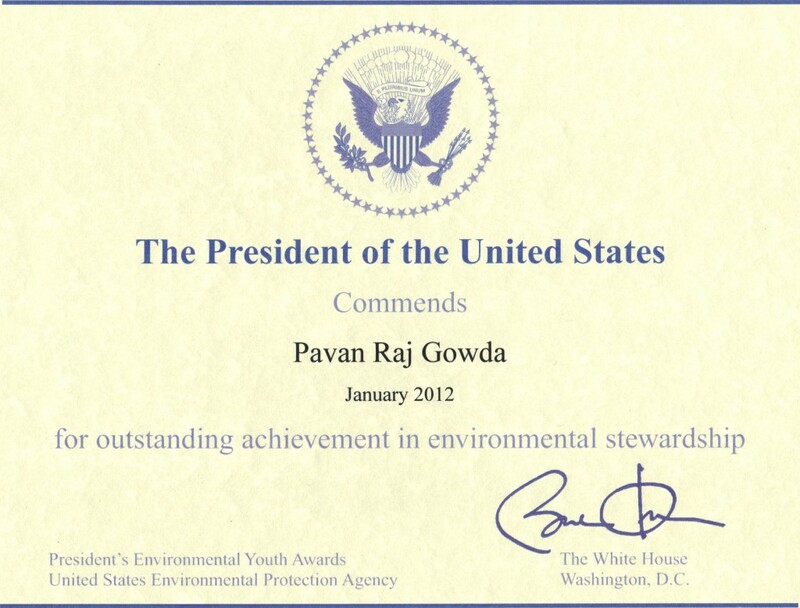 Don’t forget to read the section, “Why I nominated Pavan Raj Gowda” from the link above. 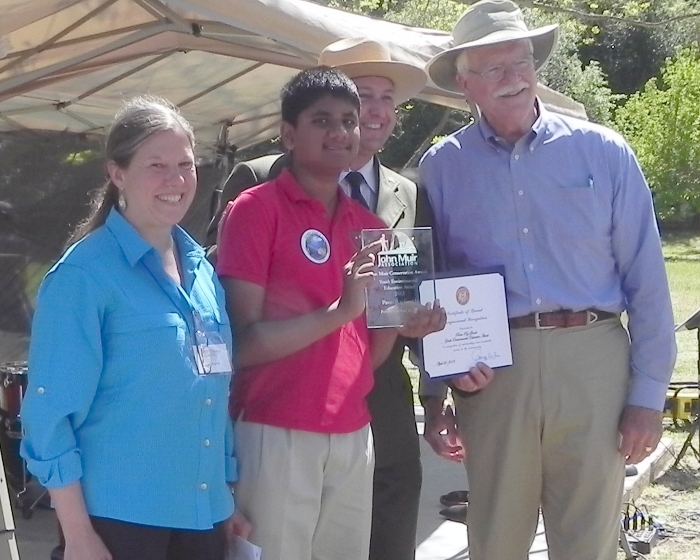 Award ceremony was held on April 20th, 2013 on 175th John Muir’s Birthday / Earth Day celebration at John Muir Historical Park, Martinez, CA.